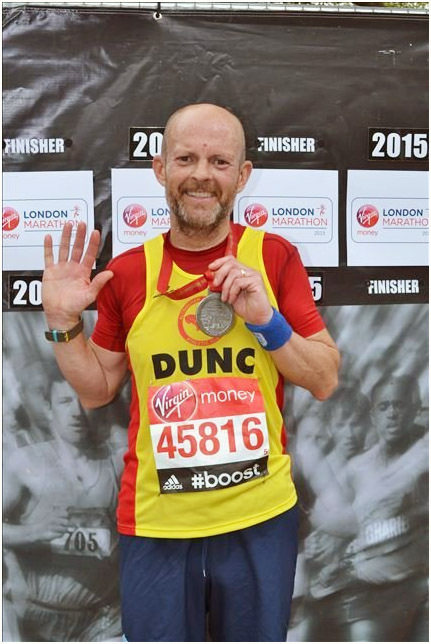 Duncan, a keen runner, has just completed his fifth London marathon in a record time of 3.44 hours! He has raised over £ 10,000 over the years for Cancer research! We are all so proud of his achievement and wish him good luck with his future marathons!